NaNoWriMo is quickly approaching, and as writers everywhere start gearing up for this month-long writing extravaganza, I thought it might be nice to focus in advance on one of the most important and difficult to handle craft elements -- POV. In storytelling, Point of View is EVERYTHING. Think about it. Where else in life can you get into somebody else's head? You can't do it in real life. No matter how close you are to your husband or wife or significant other, no matter that you've loved and watched your child's every development since the moment of conception...you still cannot get inside their head to hear their thoughts and feel their emotions as if they were your own. Even TV and film do not offer the deep POV which we can find inside the pages of a book. Aside from a few voice-overs, most of what you see on the screen is watching characters from the outside...just like in real life...though the story may be so focused that we may come away with greater insights. It is the unique opportunity presented by a story that allows the reader to fully enter into someone else's point of view, to feel their emotions, understand their beliefs, experience their fears, which makes novels forever appealing to readers. For me, getting into a POV that is not your own is one of the greatest exercises we participate in when becoming a writer. If we as writers can truly immerse ourselves in the thoughts, beliefs, and fears of someone who is not "me," we can expand not only our own world view, but that of our readers as well. With all the hatred and racial/ethnic/religious distrust creeping like cockroaches everywhere, I think developing this ability to empathize and understand someone who is not ourselves is perhaps the greatest gift writers have to offer the world. There is so much to say on developing the POV of your characters, but I'd like to offer two points here. Choose a compelling POV(s) and then dive as deep into that head as you possibly can. With each story I write, I try to work with a POV that provides unique insight to the story for the reader and an interesting challenge to me to write it. A POV can be compelling because of the personality of the character or the conflict they are experiencing. Whatever you do when choosing your POV, don't go for easy. If the character doesn't challenge you to write her, then she'll probably bore the reader down the line. Second, make sure you dive deeply into that head you're creating. Try, as much as possible, to get out of your own world view and into the perception of how your character would experience the story. Filter everything through the POV that you are in -- the setting, the other characters, the dialogue, and especially the conflict. Make this POV so real and so compelling that your reader will feel as if he or she is truly inside someone else's head experiencing the world through their eyes. It may just open their eyes to thoughts and beliefs they've never experienced before. And what a powerful gift to the world that is. ...All Hades breaks loose. A prank goes wrong during their high school production of Macbeth, and although it seems Emilio is to blame, Cilla and Goth may pay the price. Will Cilla be able to keep the boy, her coven, and the trust of her family? 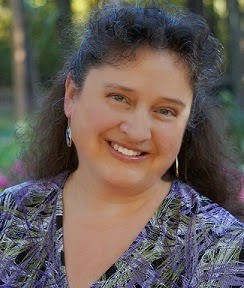 Or will this Southern Wiccan get battered and fried? Born and raised in North Carolina, Susan Sipal had to travel halfway across the world and return home to embrace her father and grandfather’s penchant for telling a tall tale. After having lived with her husband in his homeland of Turkey for many years, she suddenly saw the world with new eyes and had to write about it. Perhaps it was the emptiness of the Library of Celsus at Ephesus that cried out to be refilled, or the myths surrounding the ancient Temple of Artemis, but she’s been writing stories filled with myth and mystery ever since. 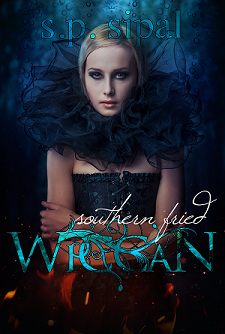 She can’t wait to share Southern Fried Wiccan with readers.